The Internet of Things (IoT) is the idea that all of the devices that we use each day – from mobile phones to desktop computers to thermostats with Internet connections – should all be connected to one another and sharing information at all times. This idea has already been widely adopted in the world of business in particular and there are expected to be billions of new devices added to the IoT infrastructure in the next few years alone. 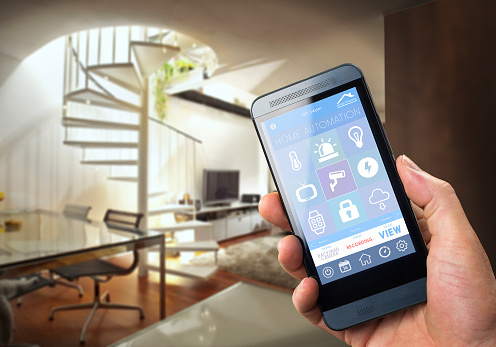 While the Internet of Things is very much a benefit to businesses, it is not a magic bullet. Organizations looking into this new technology will still have to make a number of considerations in terms of security moving forward. Businesses embracing the Internet of Things must take a proactive approach and protect not just their devices but their employees and customers at the same time. Remember that a security breach of a business’ servers doesn’t just mean that credit card numbers are exposed. It means that someone is about to have their identity stolen. Protecting the people first and the devices second puts organizations in a better position to succeed. Another important thing to understand about the Internet of Things is that every device connected to your infrastructure represents a potential vulnerability just waiting to be taken advantage of. When that infrastructure now includes hundreds or even thousands of small devices, you’re looking at a pretty disastrous situation if something goes wrong. As a result, business security systems NEED to be designed for security at multiple levels to mitigate these risks as much as possible. Even if you look at something basic like a smartphone, you are talking about wildly different quality levels as you move from cheaper models to more expensive ones. When making decisions regarding which devices to bring into your IoT infrastructure, businesses should always remember that low quality devices are the ones that have been most often used to gain unauthorized entry into a secure network. When you’re suddenly adding hundreds or even thousands of new devices to a network, bandwidth will become a major concern sooner rather than later. As businesses jump into the waters of the Internet of Things with open arms, trying to properly scale bandwidth usage will become an ongoing battle moving forward. In order to truly unlock the benefits of the IoT, businesses will need to design and implement networks that are as elastic as possible to account for these ever-changing requirements. If the Internet of Things is all about sharing data, it should come as no surprise that data will also be one of the more important assets when it comes to creating a secure environment. You’ll need to invest in analytical solutions that will wade through the data created by your devices to look for system anomalies, which will then automatically generate alerts to let you know that something may be wrong. This operational data can then be used to not only ward off potential attacks, but to identify and close certain security loopholes and other vulnerabilities that you may not have even realized existed in the first place. Haxxess Enterprise Corporation is incredibly proud to be your go-to source for all things technology. Whether you’re looking for tips, tricks or all the latest news you need to get the most from your devices, you’ve come to the right place. Those looking for more information about any of these topics can always contact us at (705) 222. -TECH or send us an email at info@haxxess.com at any time.